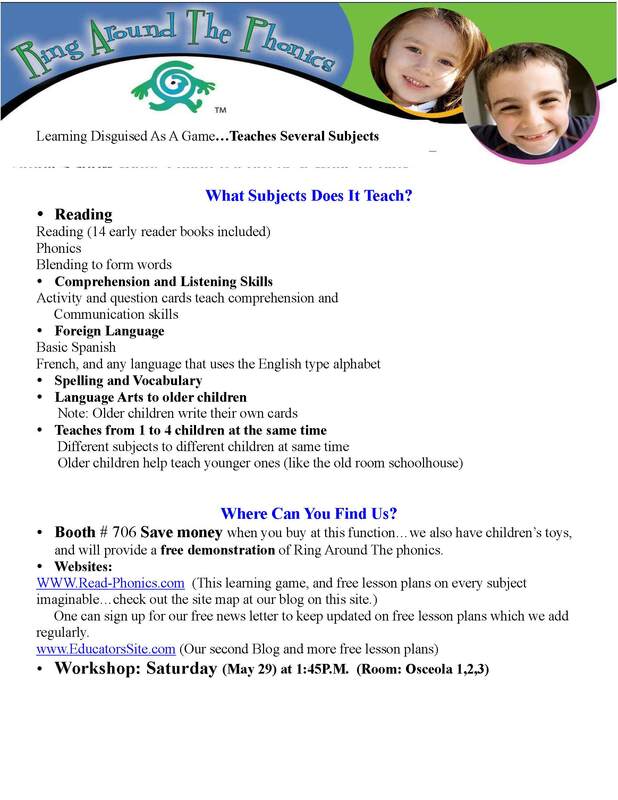 The Annual FPEA 2011 Homeschool Convention is May 26- 29 at the Gaylord Palms Resort! !! We will be providing a booth with educational products and children’s toys. We are also providing a workshop which is free to all attendees. Stop by our booth (#706) to save on your purchases…read more below. If you do not live in or near Florida click here to find a Convention near you. This entry was posted in Home-school Information and tagged homeschool convention. Bookmark the permalink.